The latest issue of Tatler magazine will feature a fantastical map of the imaginary county of 'Downtownia in the Shires'. The map show with tongue in cheek the area in which Downtown Abbey is filmed and about the characters that live in the area. From the Middleton family to Andrew Lloyd Weber to Highclere the family home in Downtown Abbey (which I will admit I have never watched). Take a look at the map, buy the mag, read the article and tell me what you think?? 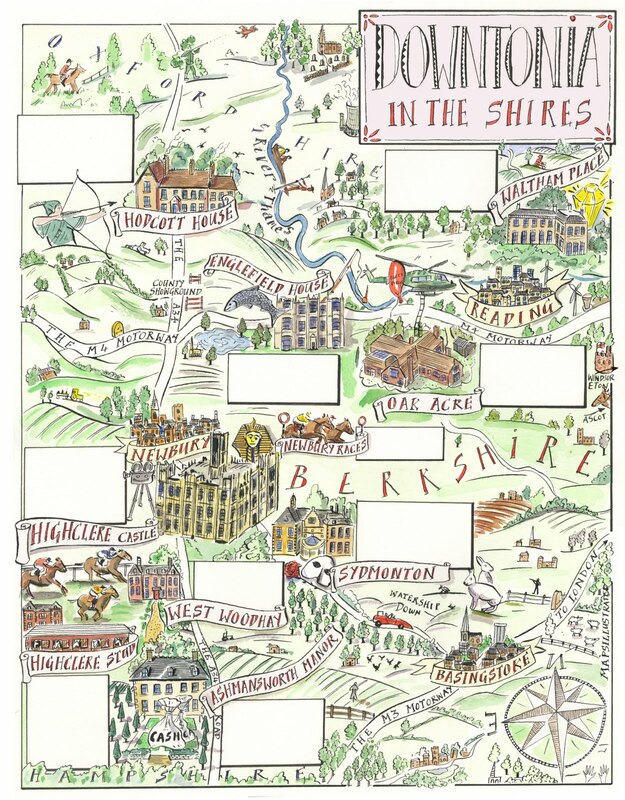 Also look out for my NEW William and Kate's new neighbours map in the following issue of Tatler.